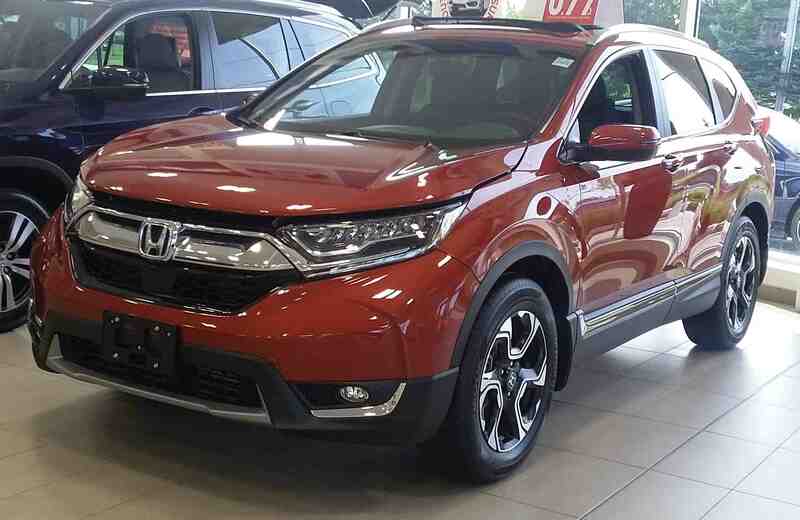 Have you seen the 2017 CR-V in it’s signature colour? 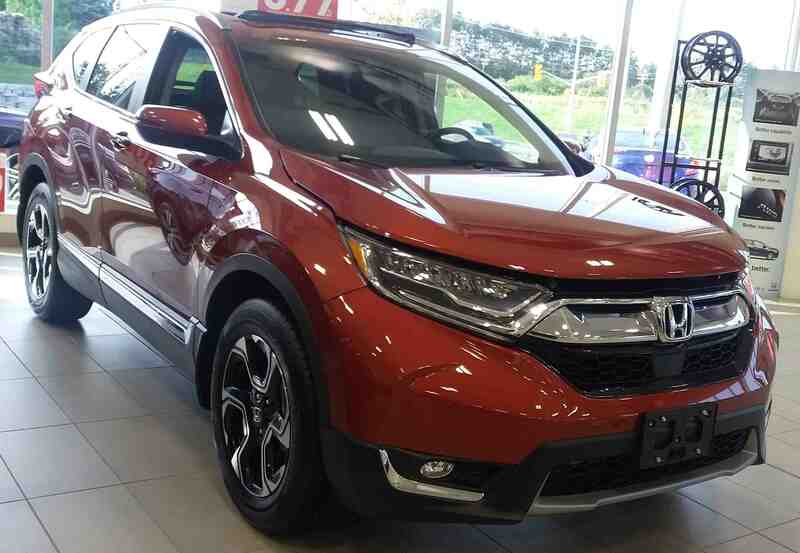 It is called “Molten Lava Pearl”, and it brings this 2017 CR-V Touring to life! This Honda is fully loaded, and is powered by a 1.5L, 16-valve, Direct Injection, DOHC, turbocharged, 4-cylinder engine with Continuously Variable Transmission. This produces an average fuel economy of 8.7/7.2/8.0 L/100km (city/highway/combination). If you would like to stretch the CR-V’s fuel economy further, you can use its Eco Assist and ECON button! The Touring trim level has some extra sparkle and style around the CR-V! It features 18 inch aluminum-alloy wheels, a dual exhaust with chrome finisher, and an active shutter grill. It also includes front and rear splash guards, rear privacy tinted glass, and roof rails. On the inside you will notice the CR-V’s leather wrapped surfaces, heated front and rear seats, panoramic moonroof, and Magic Seats. To make life easier, the 2017 CR-V Touring comes equipped with a hands-free power tailgate, proximity key entry, and pushbutton start. Tech lover will find a lot to love with the 2017 CR-V Touring! It comes with the entire Honda Sensing package of safety technology! This includes the Collision Mitigation Braking System, Forward Collision Warning, Lane Departure Warning, and more! If you are planning to use the CR-V to tow a load, the Vehicle Stability Assist will be there to help! The Touring also comes with the Honda Satellite-Linked Navigation System and the Blind Spot Information System. For listening to music or making handsfree calls, the CR-V is compatible with HondaLink the Next Generation, Apple CarPlay, Android Auto, HD Radio, and Sirius XM. If you have any questions about the 2017 CR-V Touring, click here to contact us! To learn about the accessory packages for the 2017 CR-V, click here!